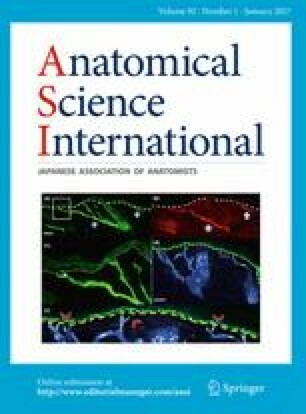 The present study aimed to morphologically examine the gingival microvascular network using a microvascular resin cast (MRC) technique, and to investigate how inflammatory disease functionally affects gingival microcirculation using laser Doppler flowmetry (LDF). We used four beagle dogs with healthy periodontal tissue as experimental animals. To cause periodontal inflammation, dental floss was placed around the cervical neck portions of the right premolars. The unmanipulated left premolars served as controls, and received plaque control every 7 days. After 90 days, gingivitis was induced in the experimental side, while the control side maintained healthy gingiva. To perform morphological examinations, we used an MRC method involving the injection of low-viscosity synthetic resin into the blood vessels, leading to peripheral soft-tissue dissolution and permitting observation of the bone, teeth, and vascular cast. Gingival blood flow was estimated using an LDF meter. The control gingival vasculature showed hairpin-loop-like networks along the tooth surface. The blood vessels had diameters of 20–40 μm and were regularly arranged around the cervical portion. On the other hand, the vasculature in the experimental group was twisted and gathered into spiral forms, with blood vessels that had uneven surfaces and smaller diameters of 8–10 μm. LDF revealed reduced gingival blood flow in the group with experimentally induced gingivitis compared to controls. The actual measurements of gingival blood flow by LDF were in agreement with the alterations that would be expected based on the gingivitis-induced morphological alterations observed with the MRC technique. M. Matsuo, S. Takahashi and S. Wada-Takahashi contributed equally. This work was partially supported by JSPS KAKENHI (Grants-in-aid for Scientific Research) grant numbers 26463147, 25460704, and 25463058. The authors declare no conflict of interest for this study.